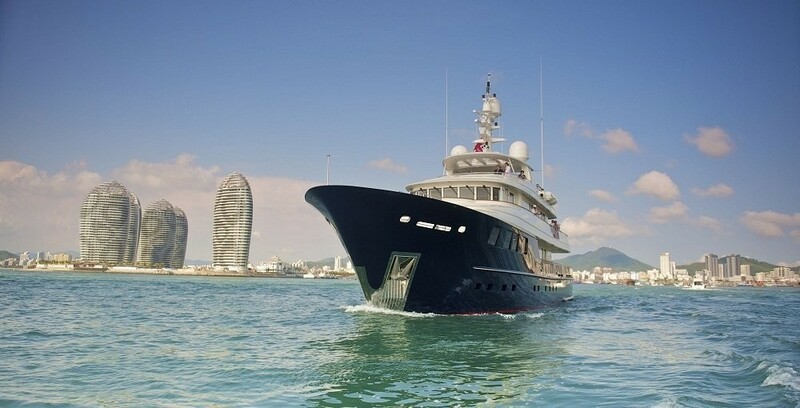 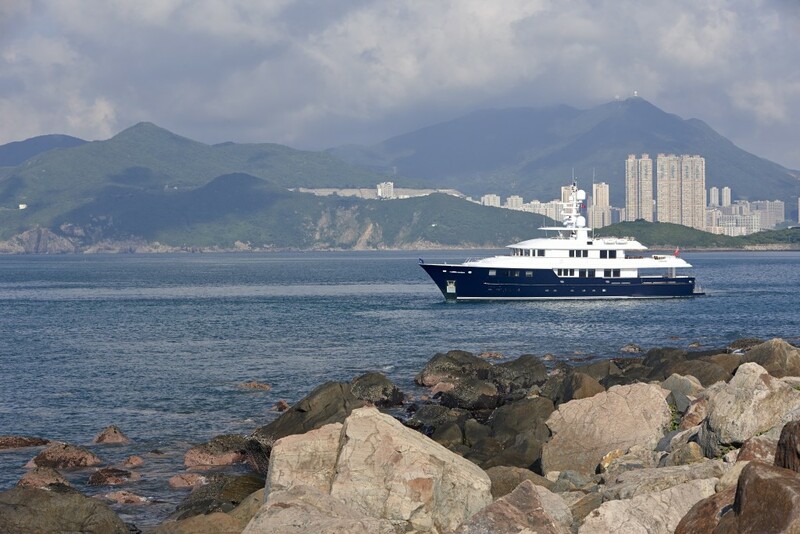 Launched in 2012, the 41.9m (137´) family motor yacht OCEAN'S SEVEN is a spectacular luxury vessel, built by the Chinese shipyard Kingship Yacht. 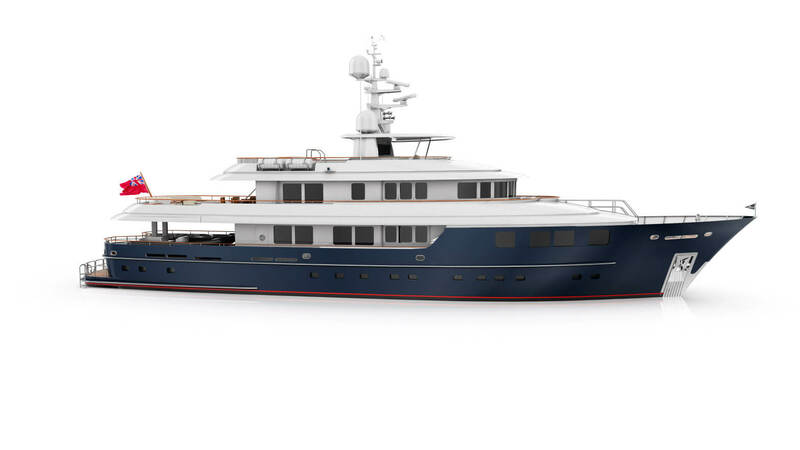 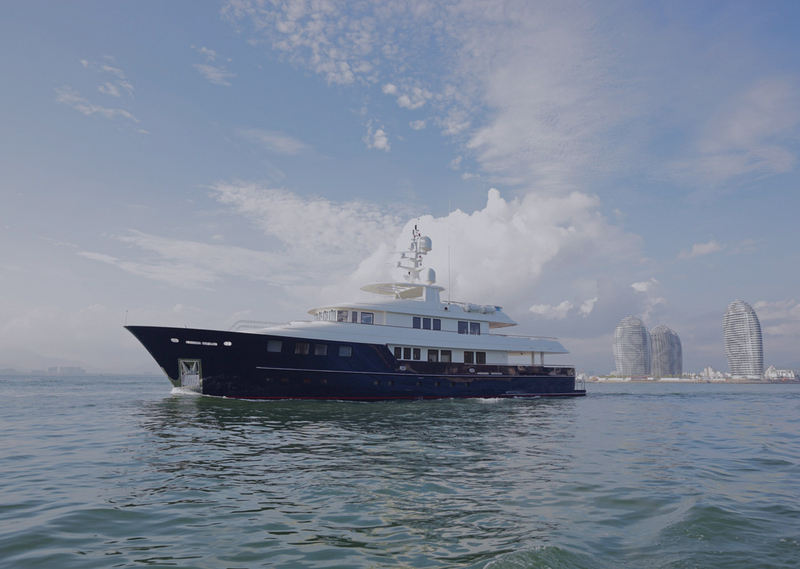 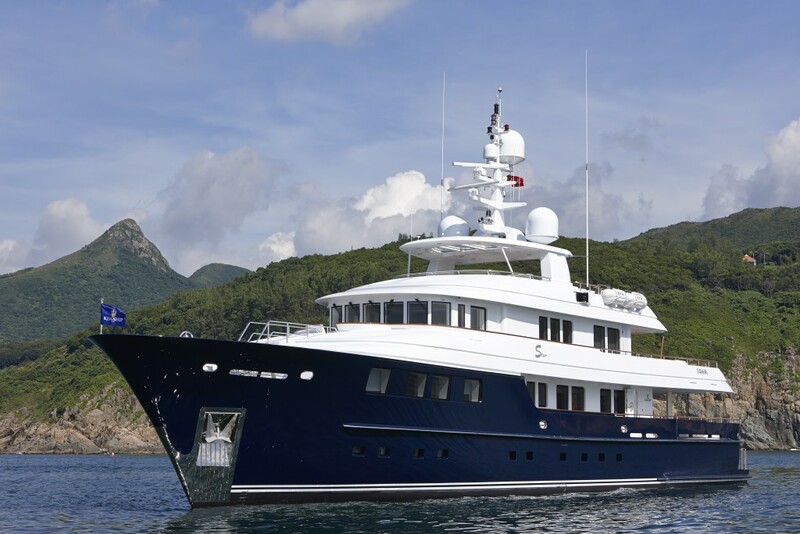 She features both naval architecture, beautiful exterior and elegant, minimalistic off-white interior by renowned Dutch design studio Vripack, combined with unparalleled long range as well as comfort features. 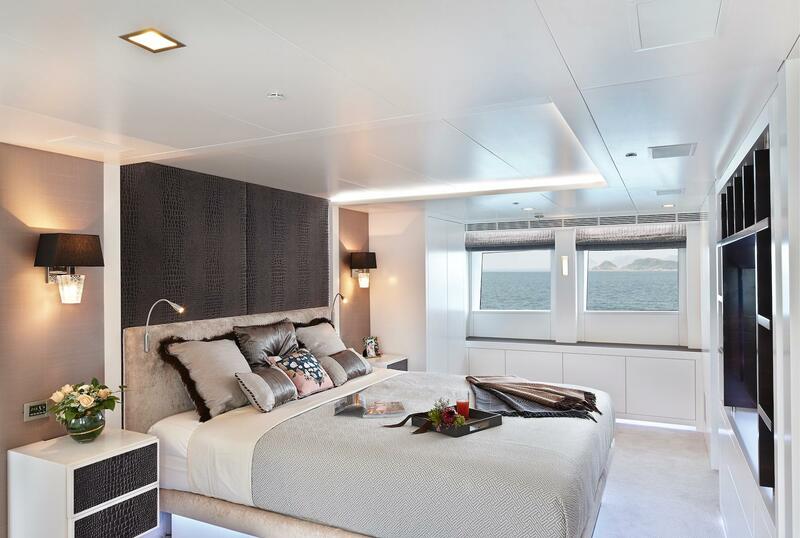 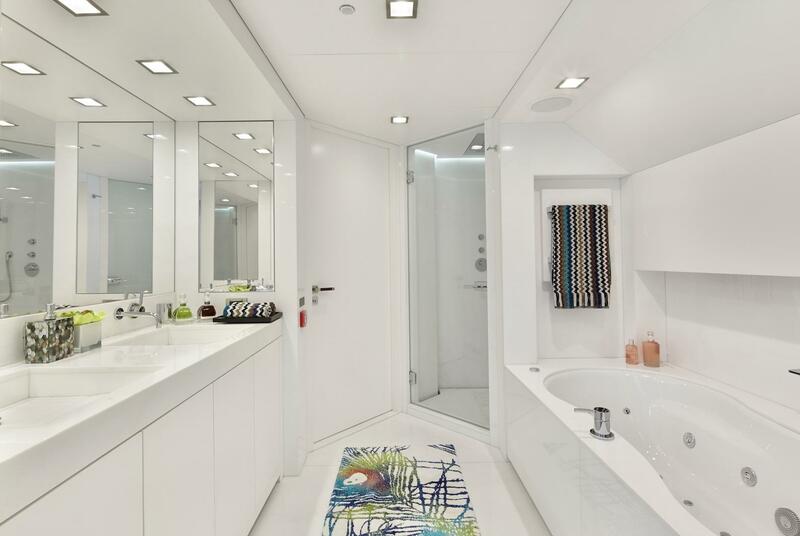 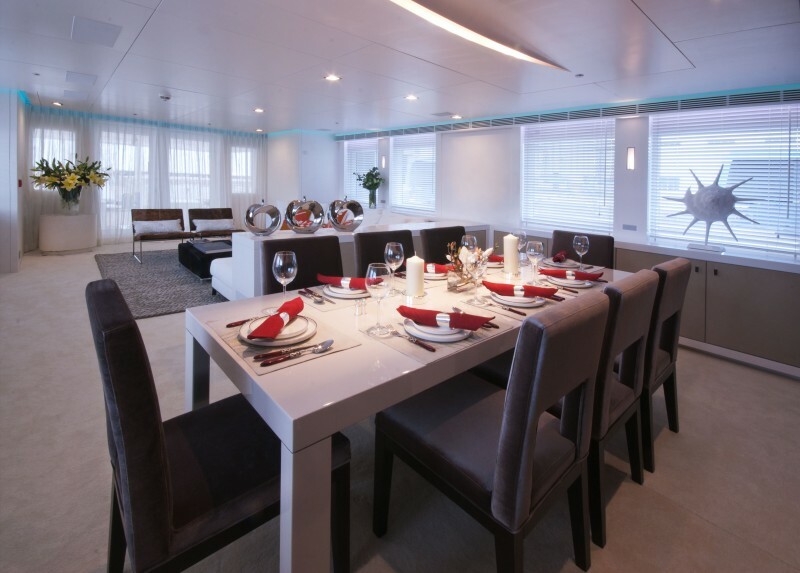 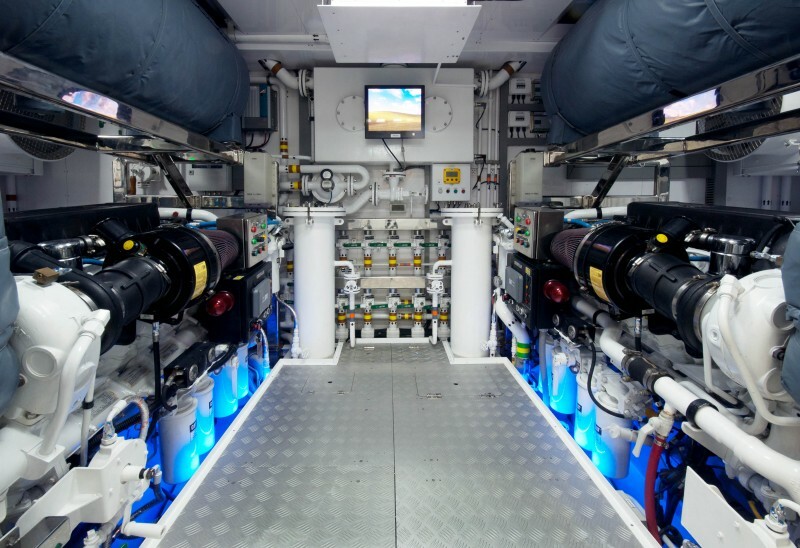 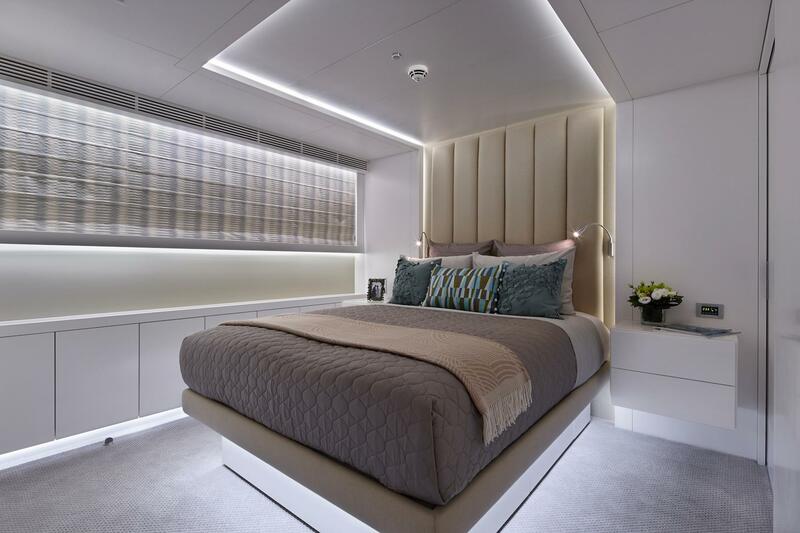 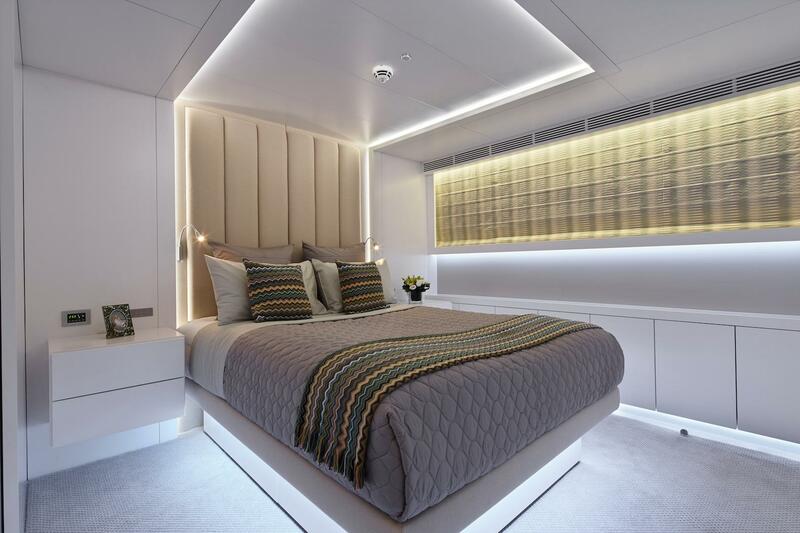 Unique features aboard OCEAN'S SEVEN yacht Vripack include the control room and engineer cabin in the aft ship, quite uncommon on a yacht of her size. 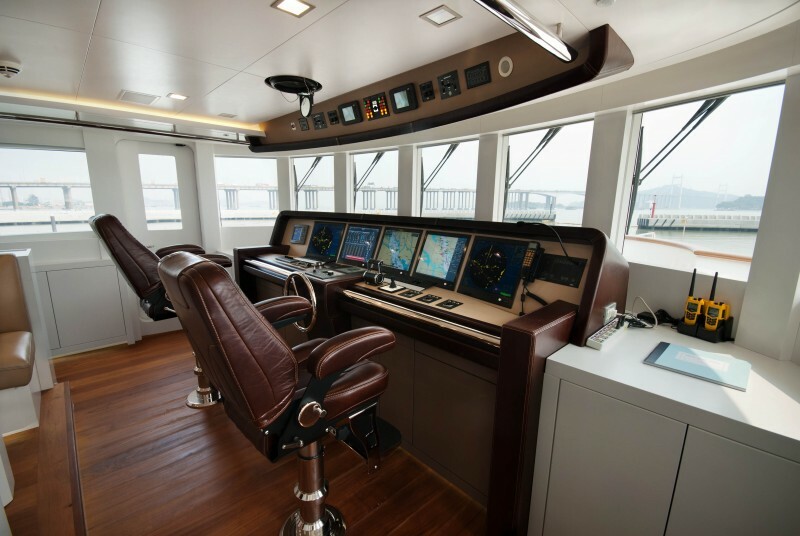 The yacht is designed to cruise around the world on her keel, which means room for a crew needed to be provided close to their workspace; the captain is next to the bridge and the engineer to the engine room. 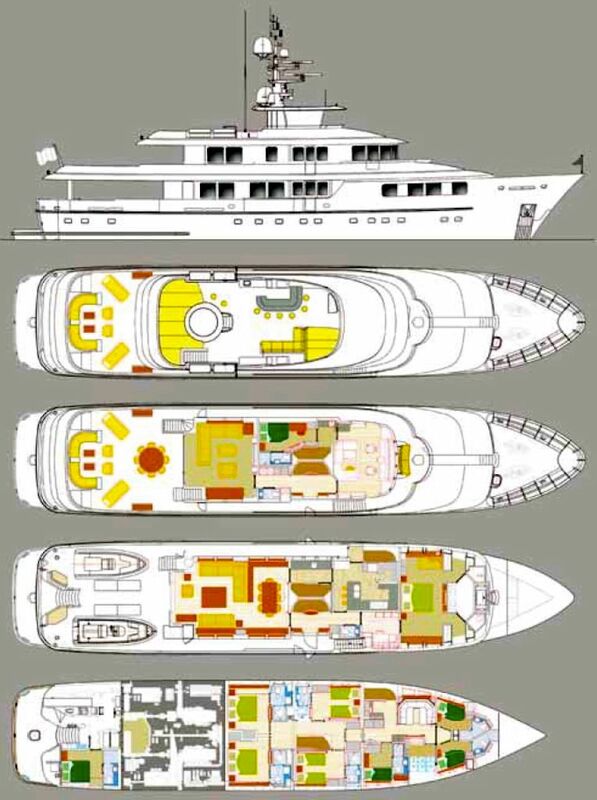 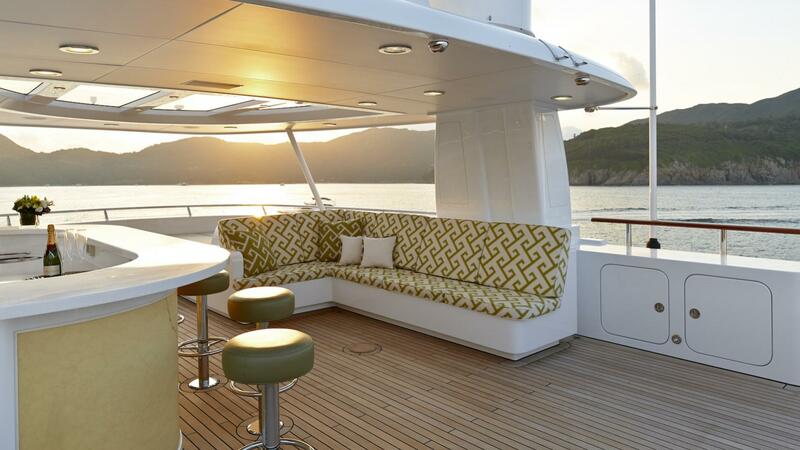 The whole layout of the motor yacht OCEAN'S SEVEN has been created in this manner, smart and lean. 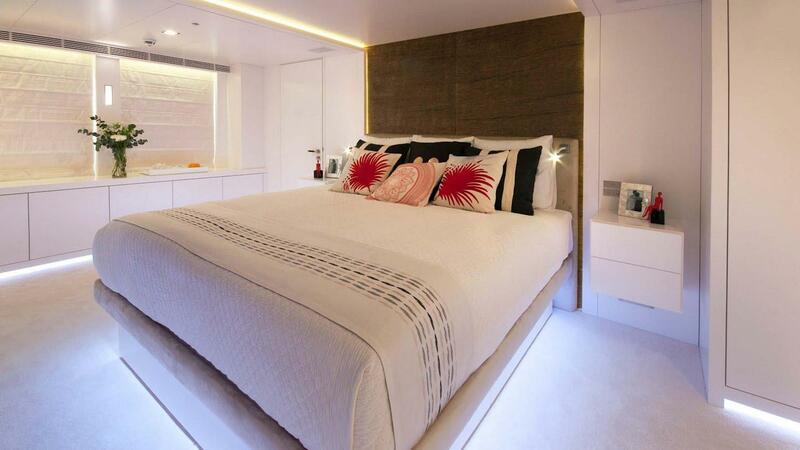 The interior design is by Vripack and features beautiful furnishings and artworks. 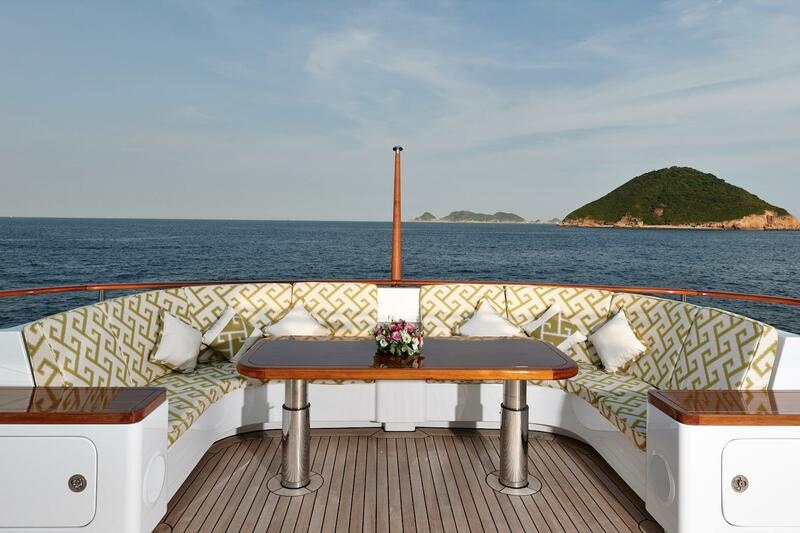 All of the social areas have been located on the bridge and flybridge, leaving the aft deck available for two 6m tenders. 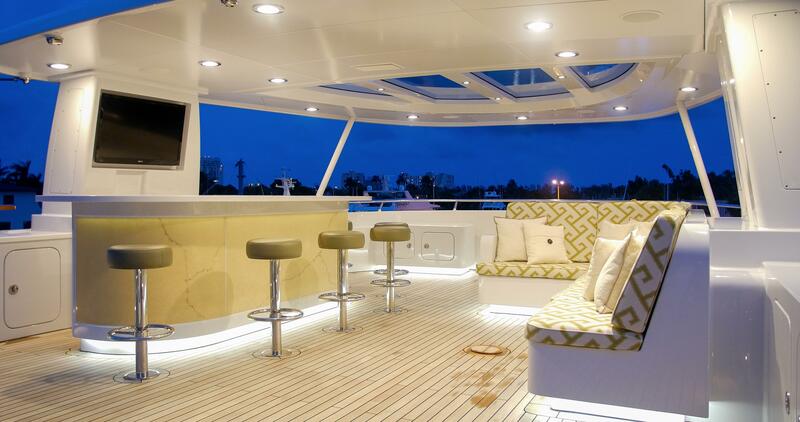 There are butterfly-doors opening full beam from the sky-lounge allowing for the exterior and interior spaces of the deck to merge and create one large open space, perfect for entertaining. 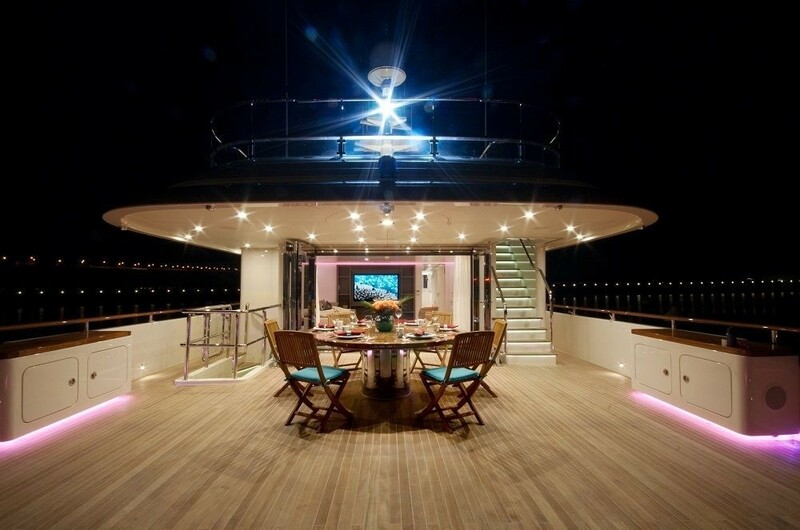 One straight stair connects this area to the fun-deck on the fly-bridge level. 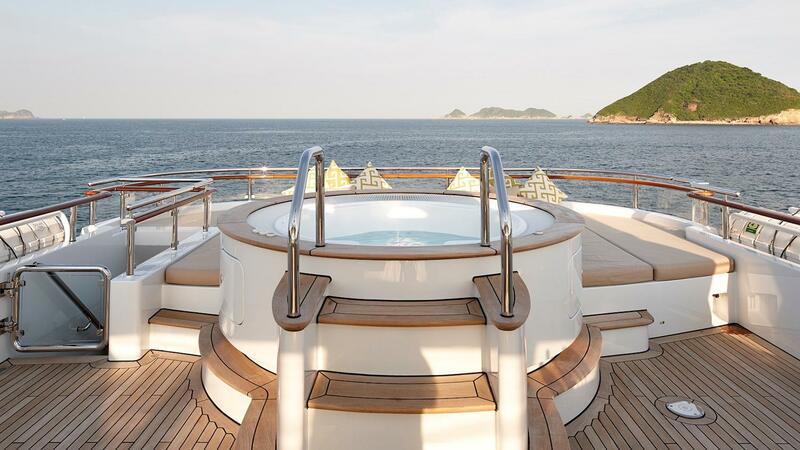 For relaxation and sunbathing, there is a full-size spa pool, sun pads, open bar, grill and a lounge area. 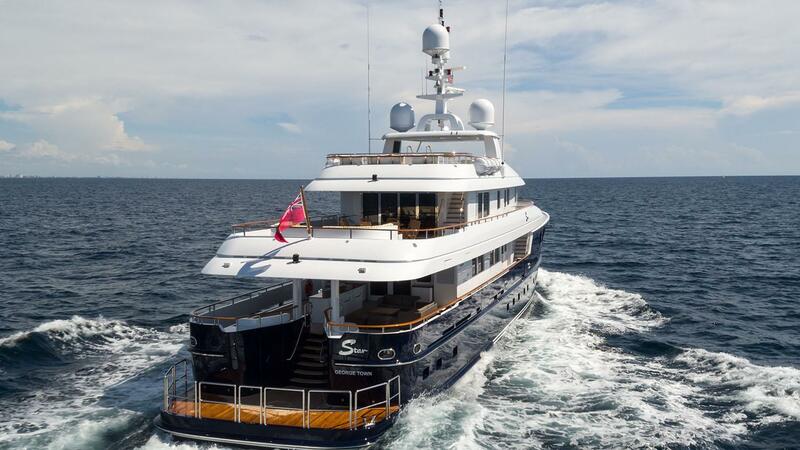 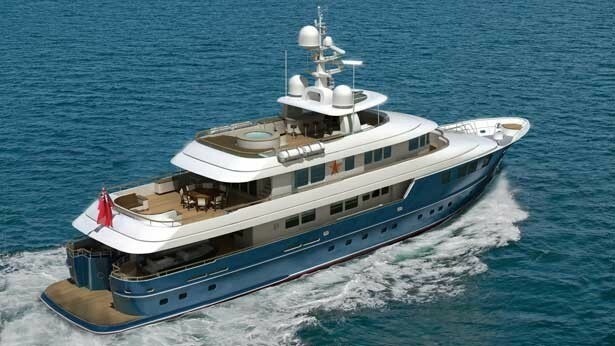 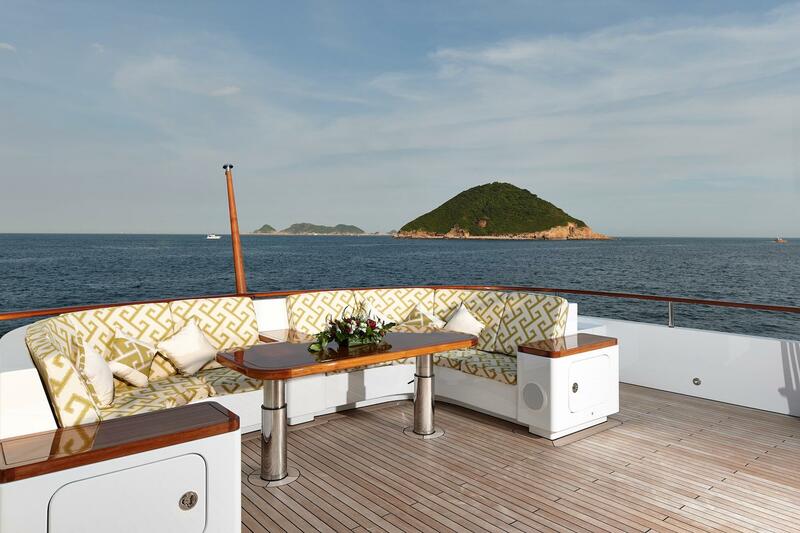 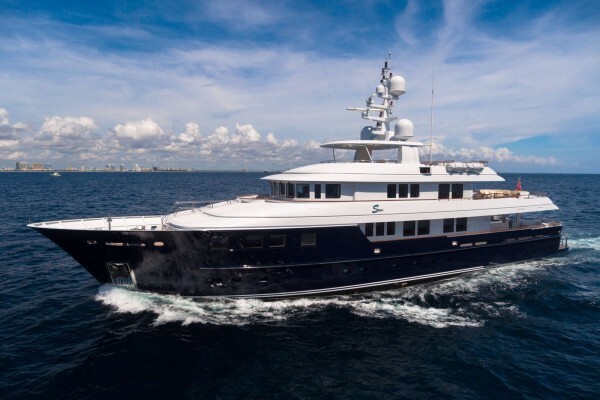 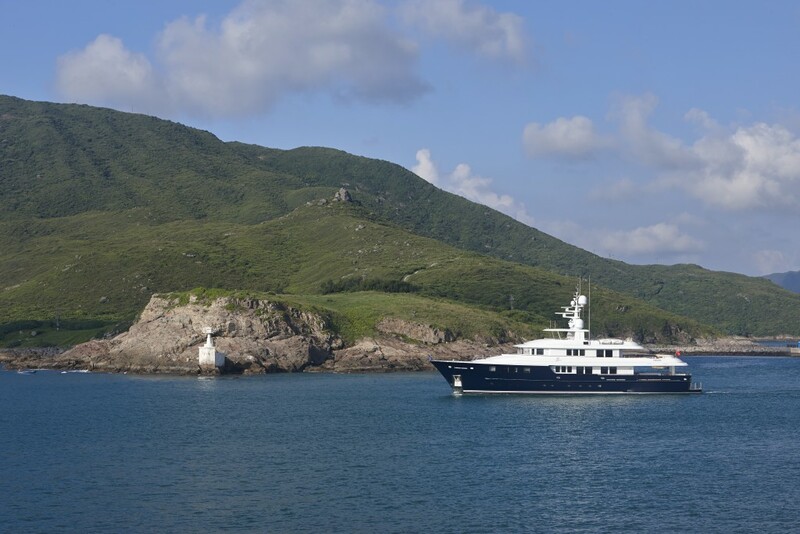 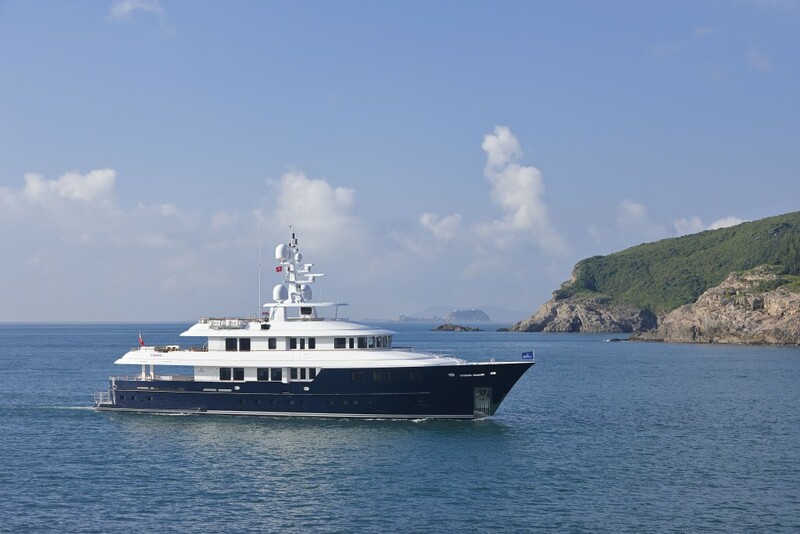 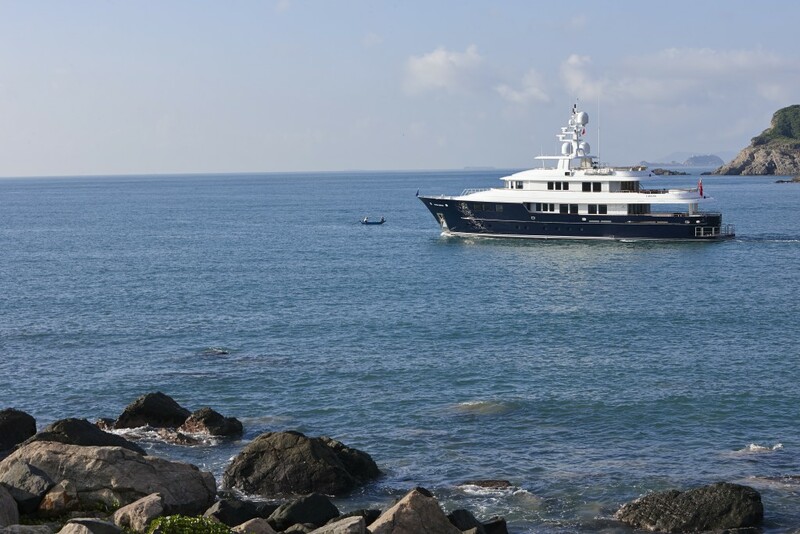 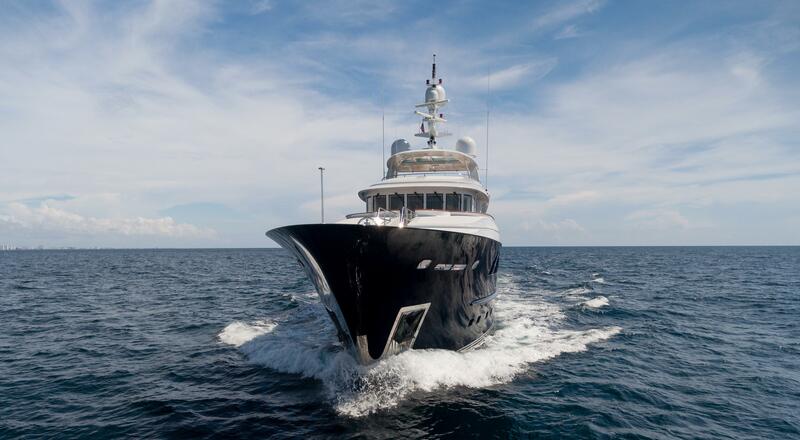 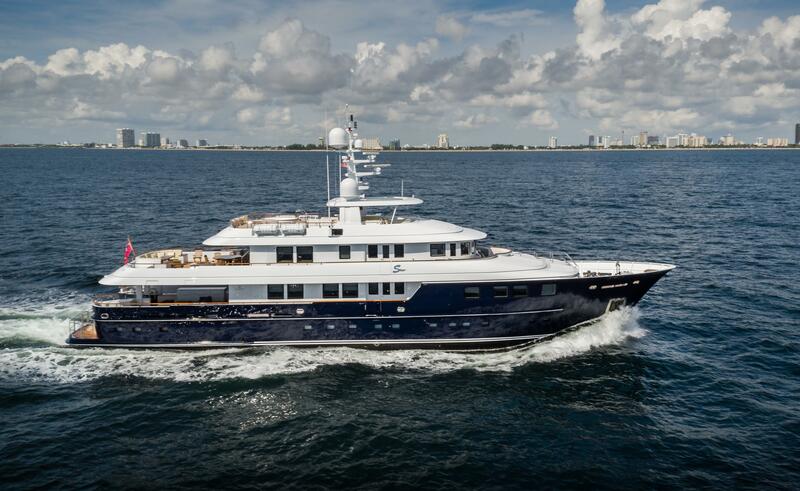 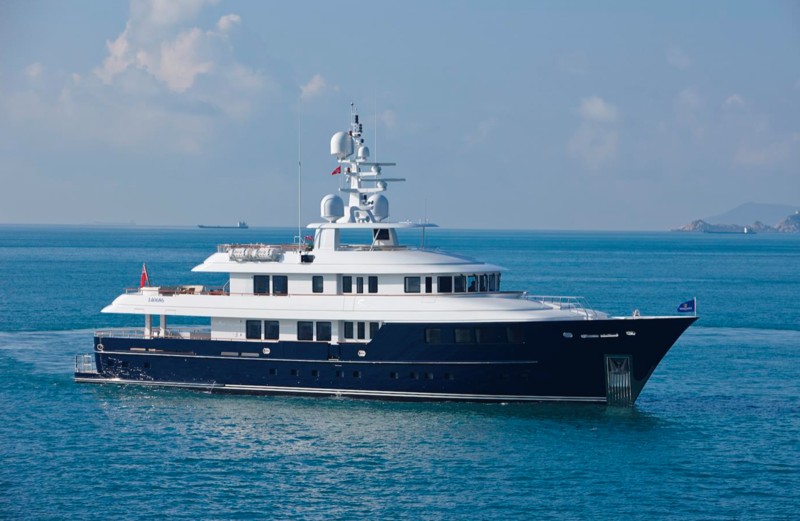 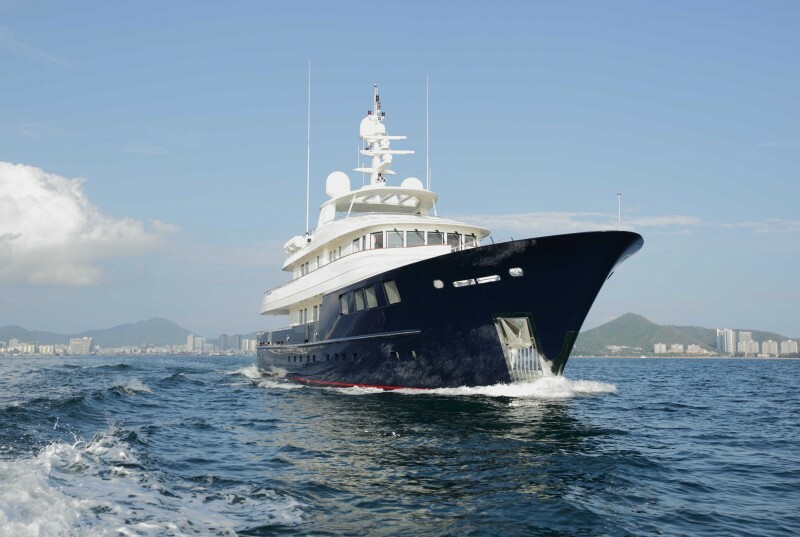 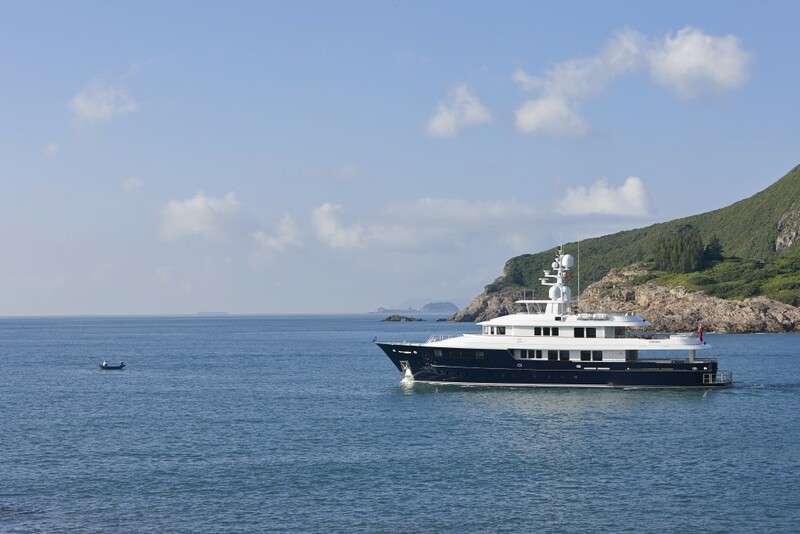 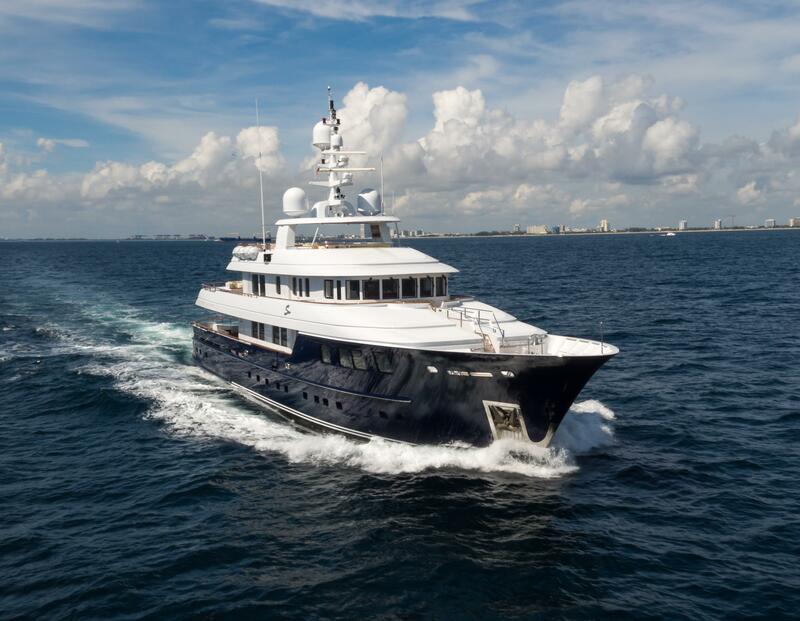 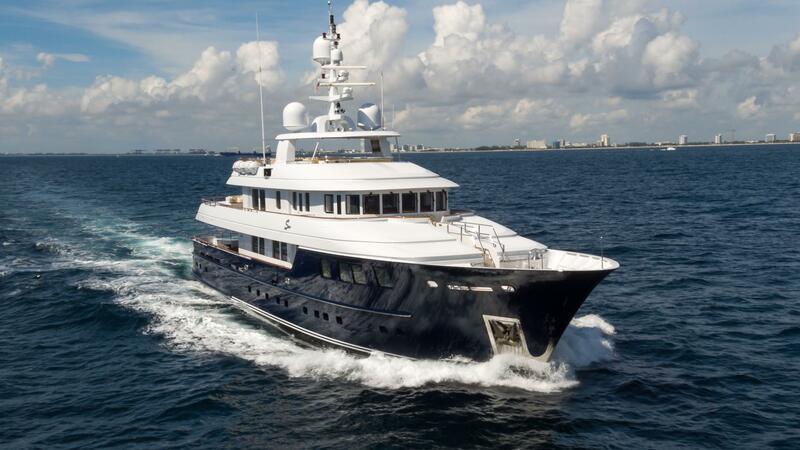 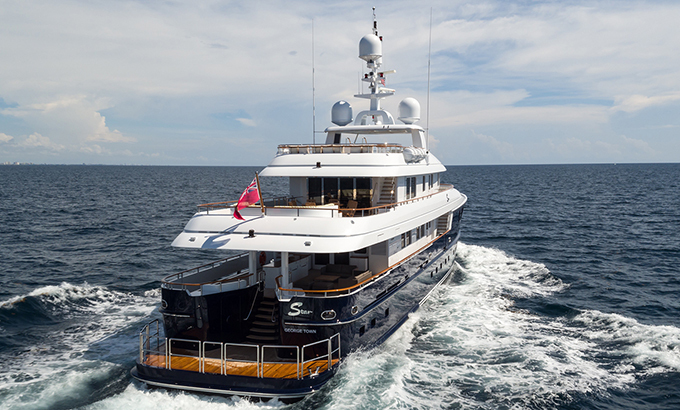 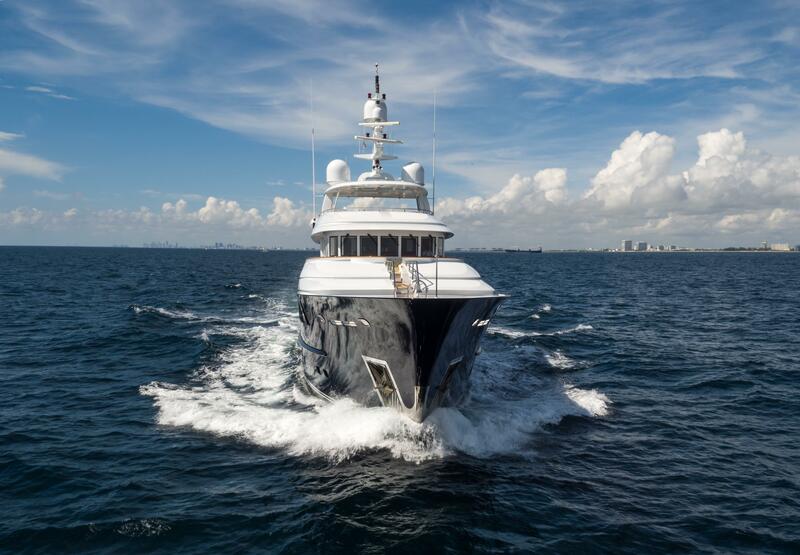 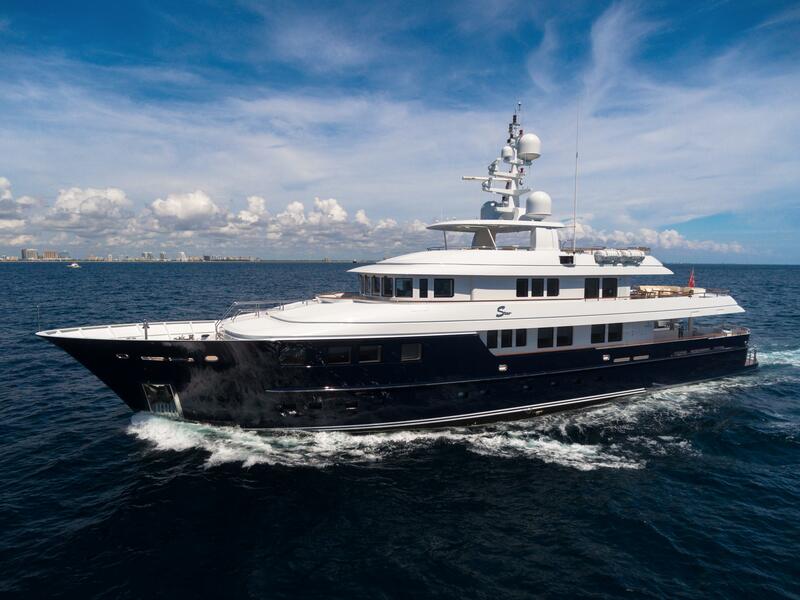 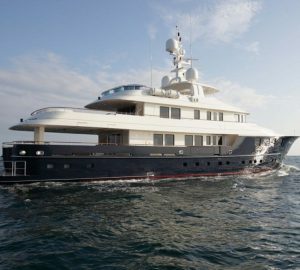 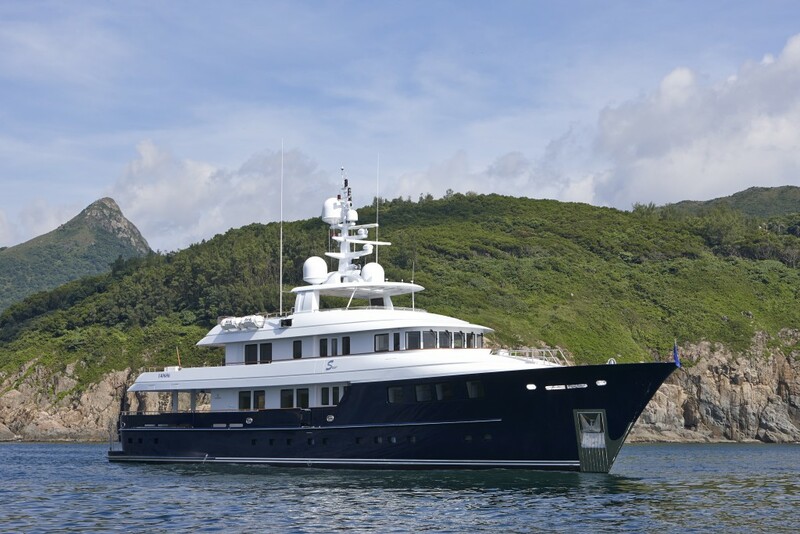 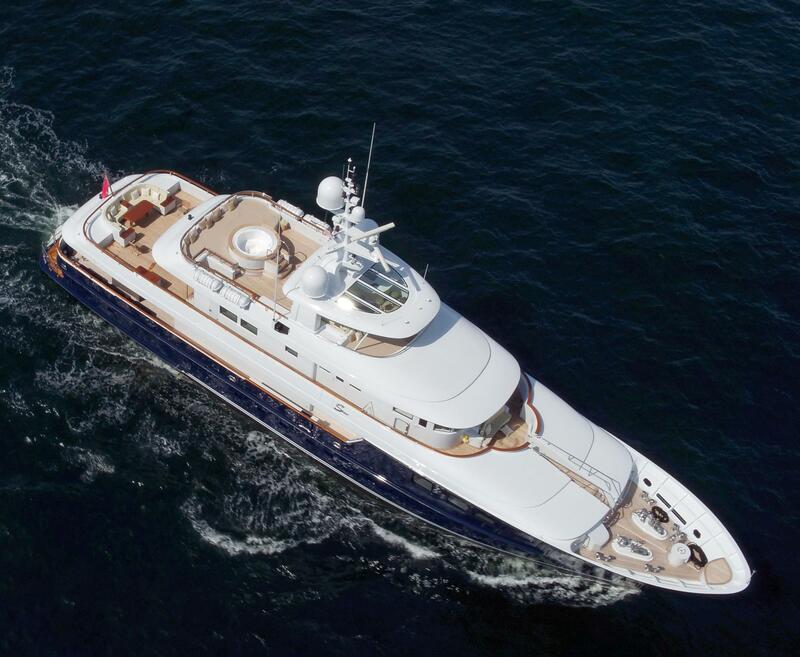 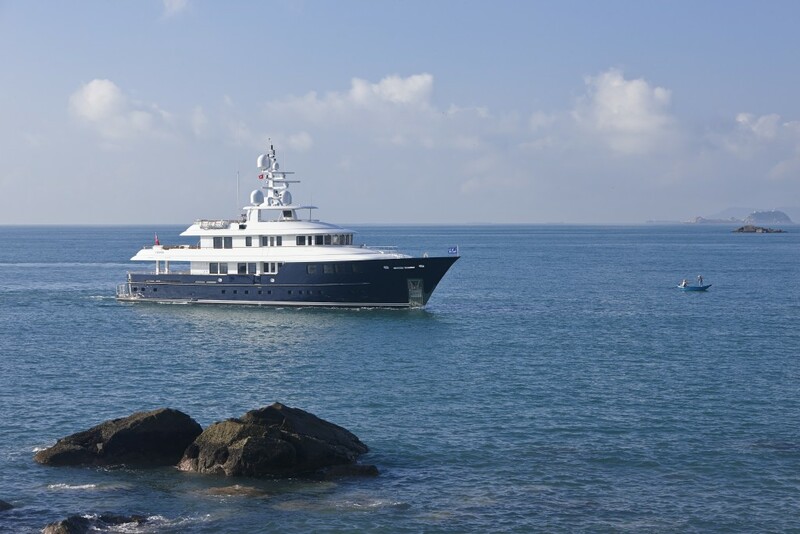 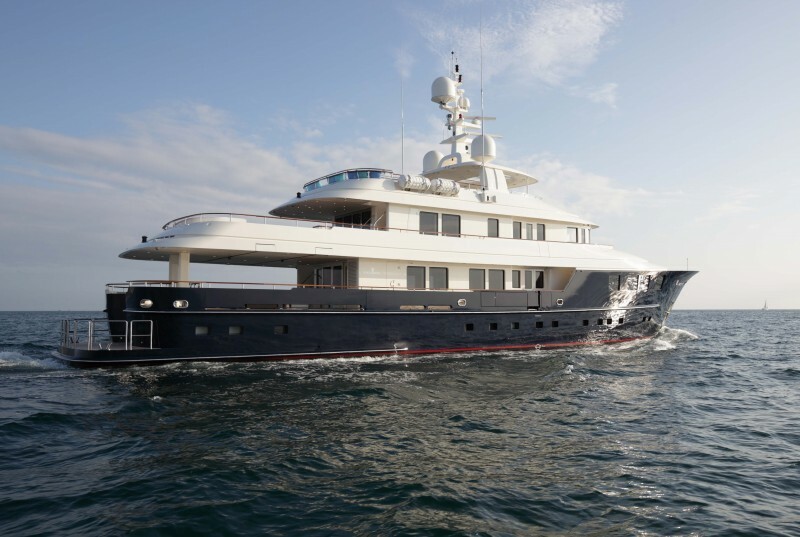 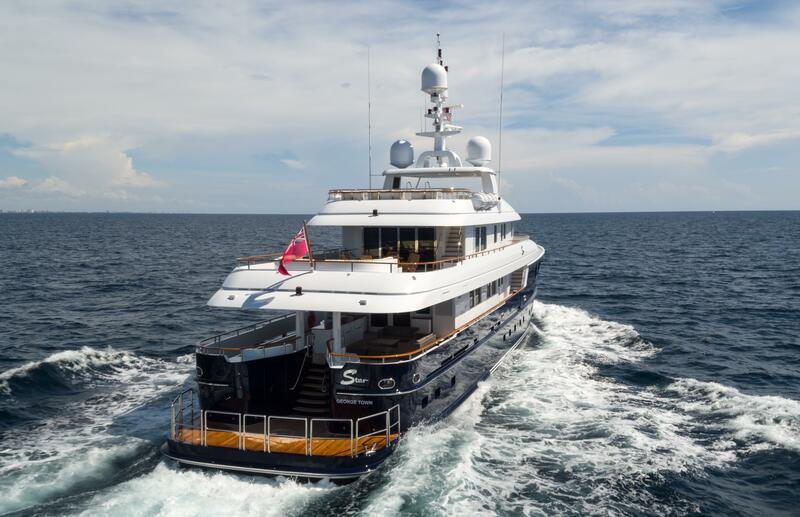 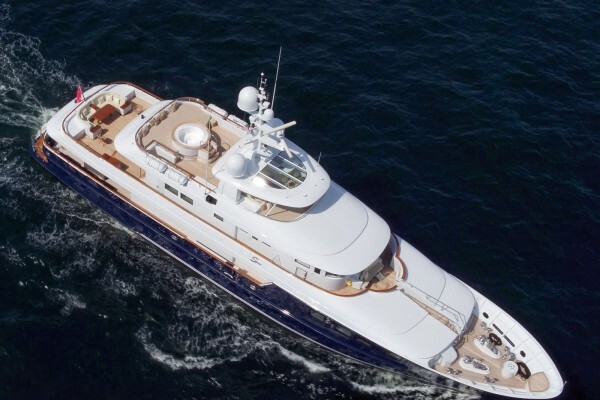 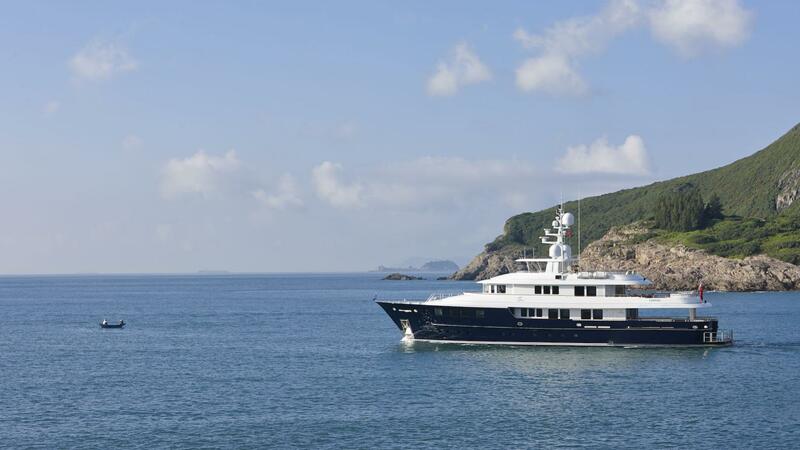 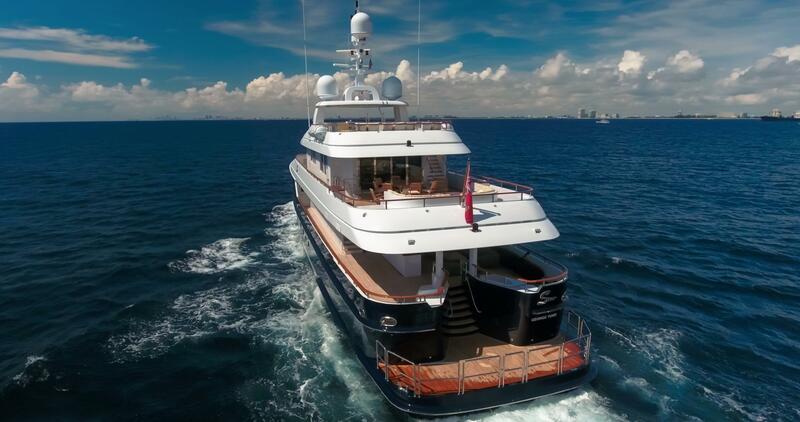 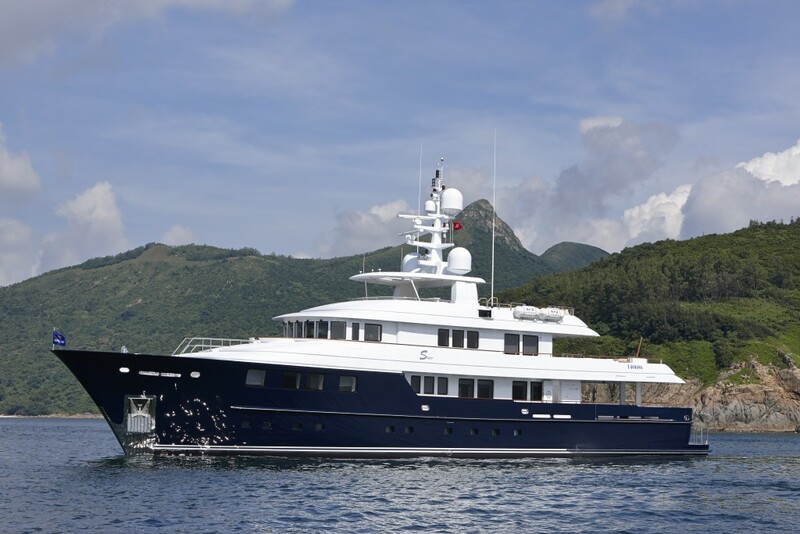 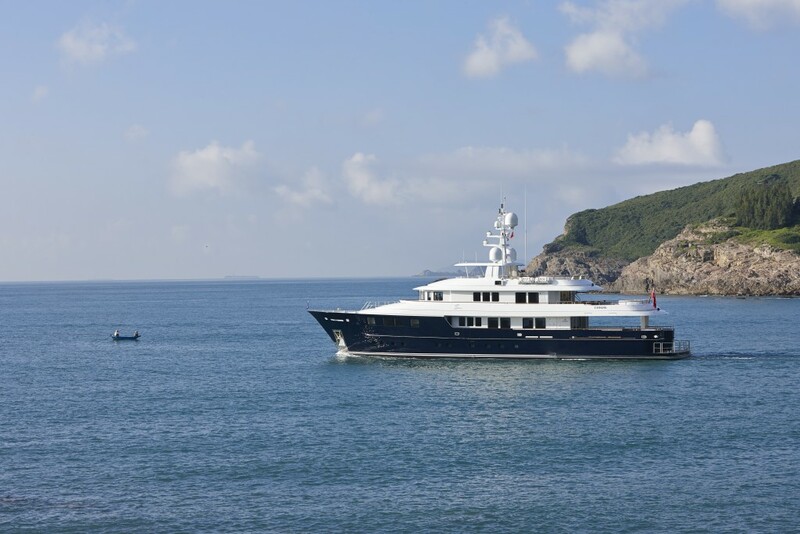 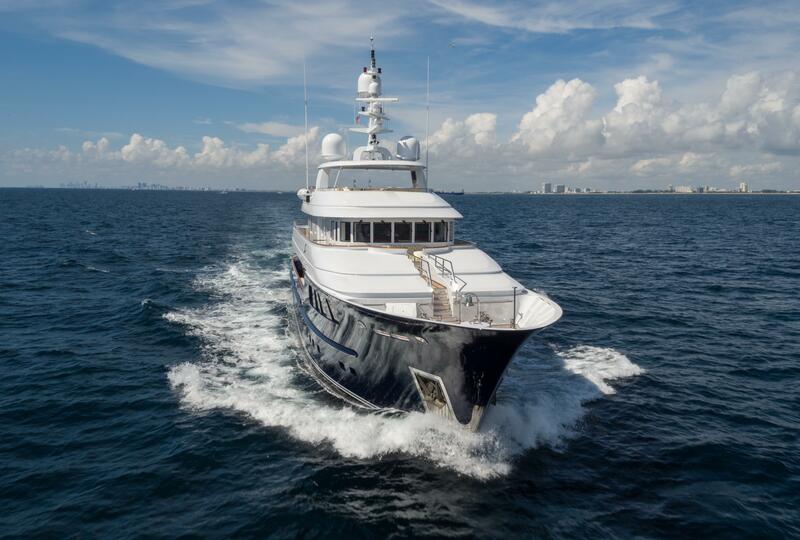 Boasting a steel hull and aluminium superstructure, OCEAN'S SEVEN is run by twin Caterpillar 3412E DITA diesel engines. 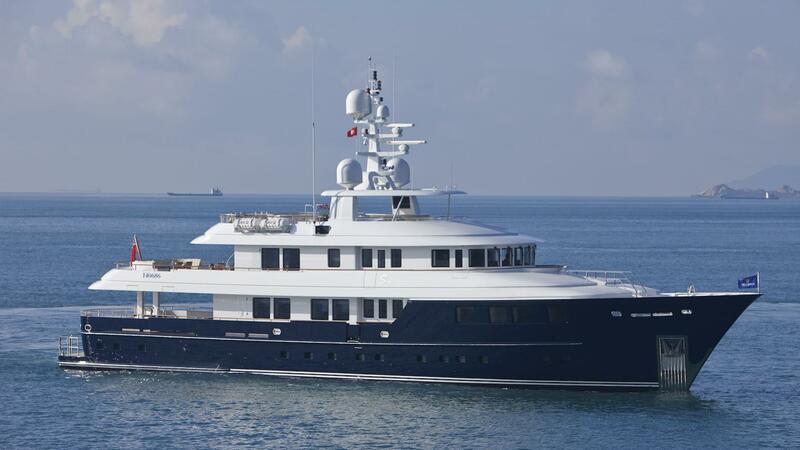 Lloyds Register and MCA classed, Star has a beam of 8.40m (27´56´´) and a maximum draught of 2.45m (8´04´´). 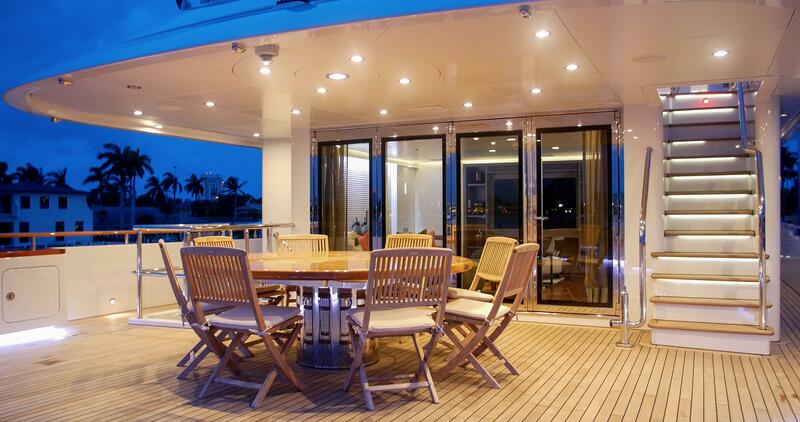 Accommodation is offered for a total of 12 guests in five spacious cabins. 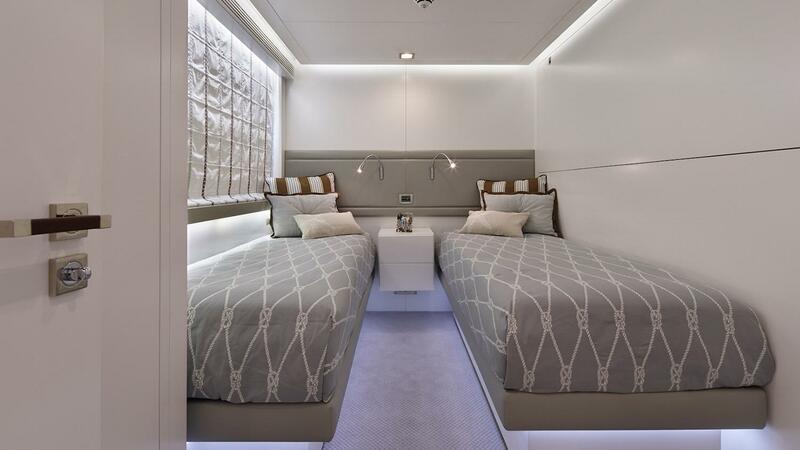 There is a large master suite, two VIP suites, two twin cabins with Pullman beds. 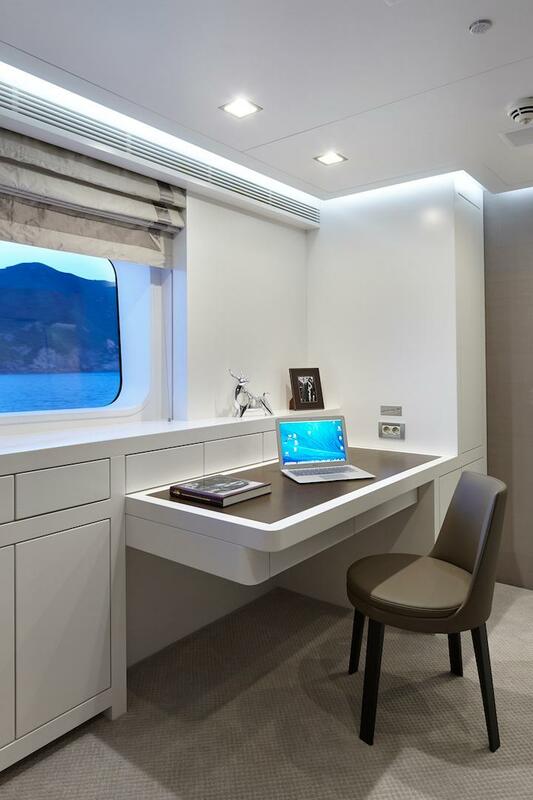 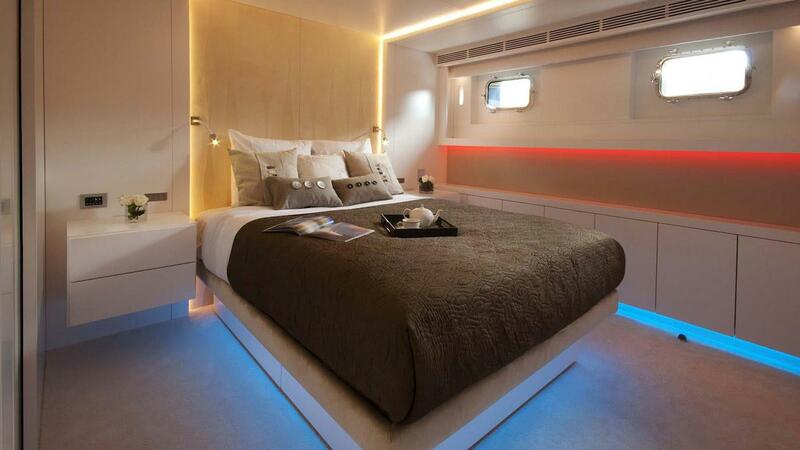 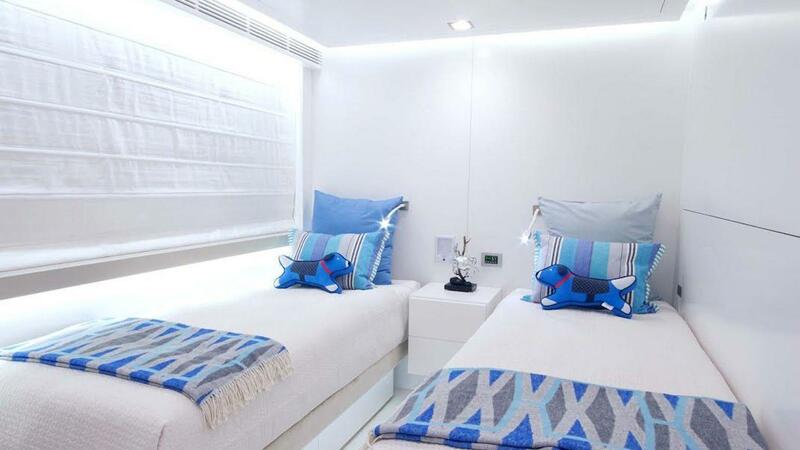 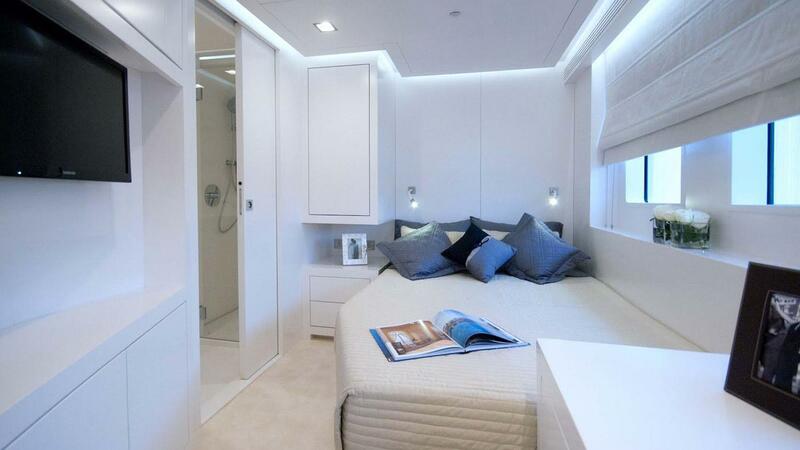 Each cabin has an A?V entertainment system and ensuite facilities. 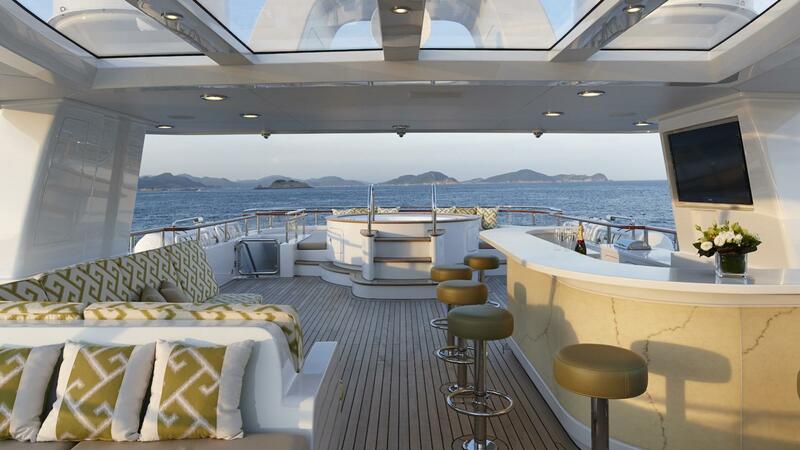 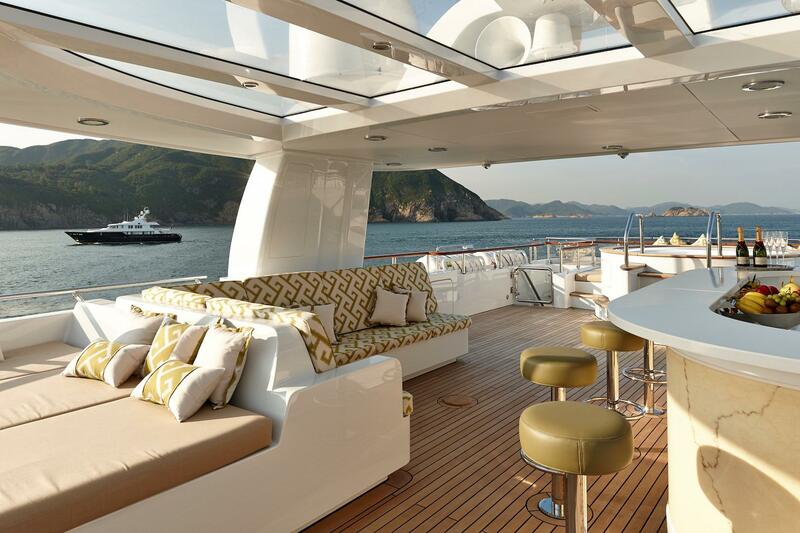 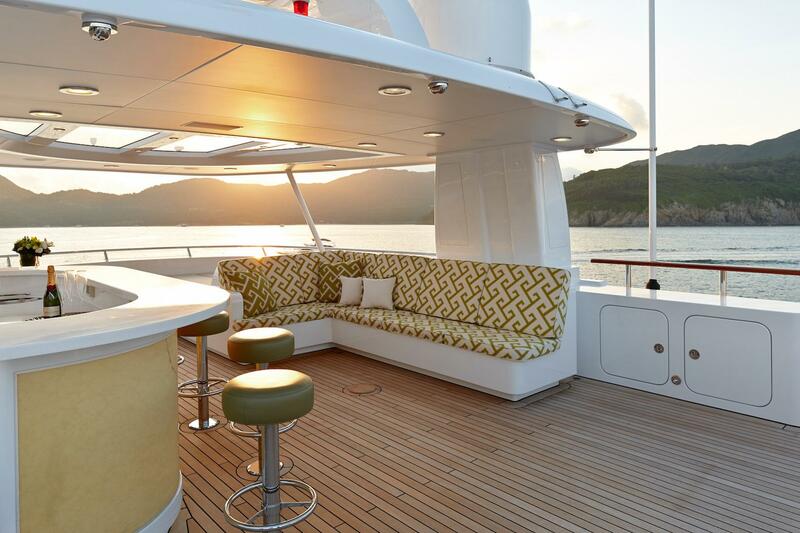 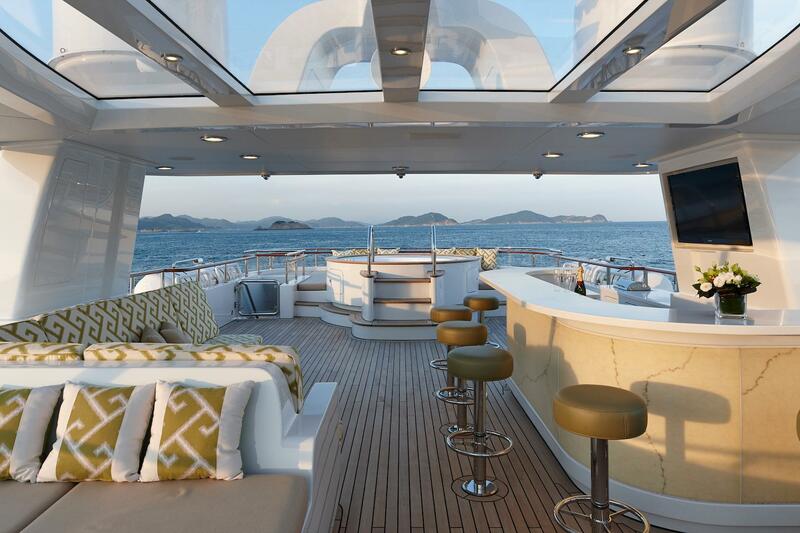 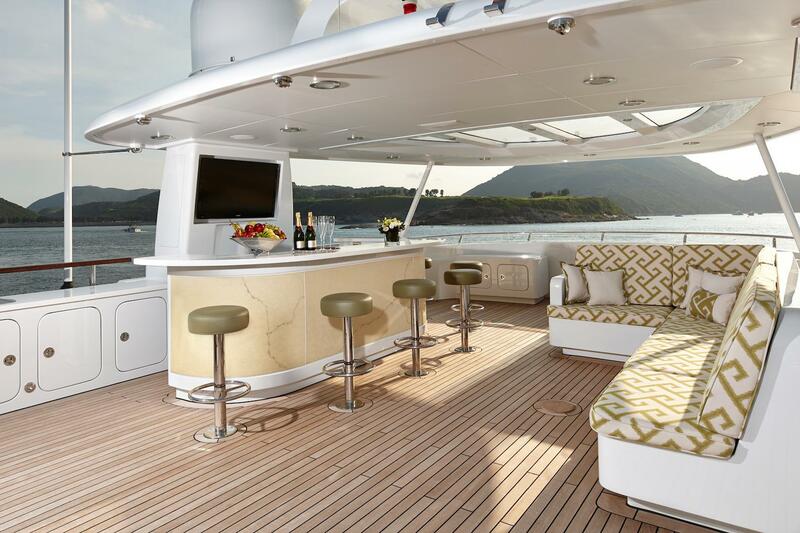 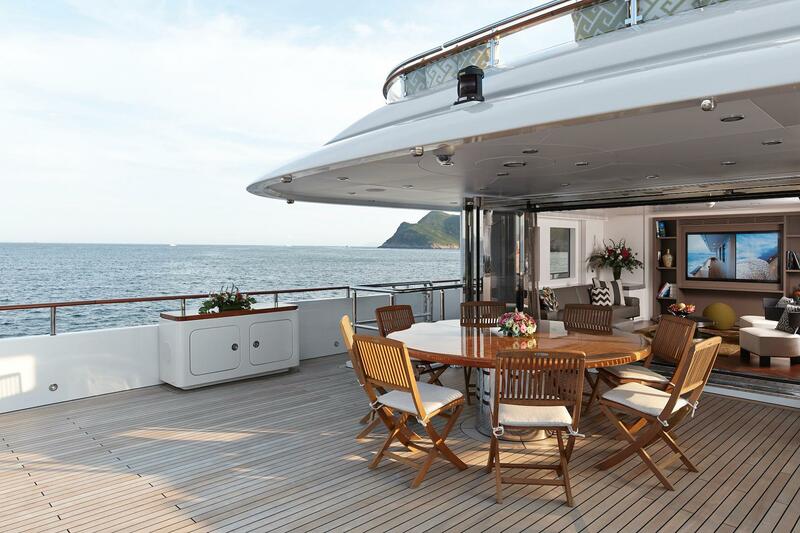 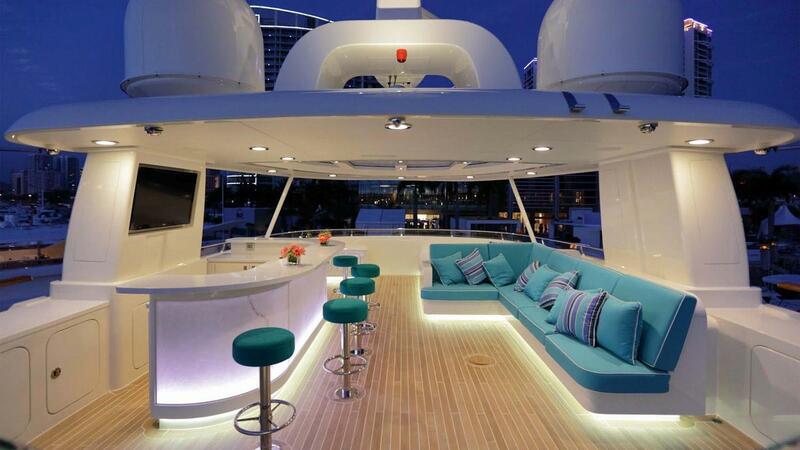 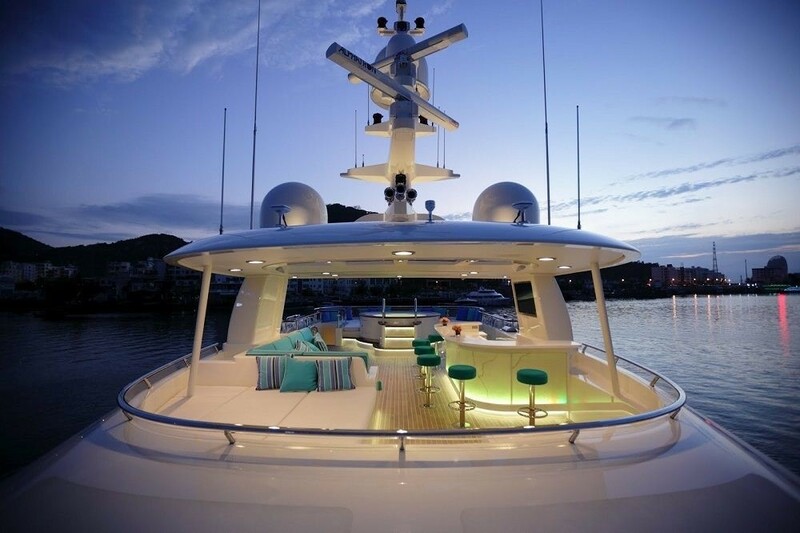 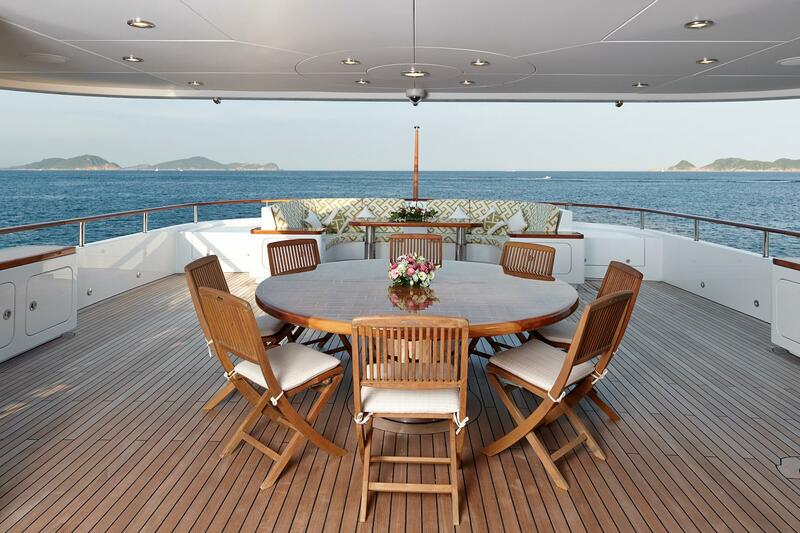 The aft deck of the luxury yacht OCEAN'S SEVEN stores two 6m yacht tenders.